TOM ROCKLIFF was back at Brisbane Lions training on Wednesday morning for the first time this pre-season under new coach Chris Fagan. Rockliff, like all players with five years experience or more, was not due to return until next Monday. The 26-year-old has had a rollercoaster off-season, with first his name mentioned in trade rumours and then Fagan saying his captaincy was "up for grabs". The new Lions coach said a decision on who would captain the club – a position Rockliff has held for two seasons – would be made closer to the pre-season competition. On Wednesday's session at Yeronga, Rockliff looked in top shape as he joined in all the ball-work drills and then completed a heavy running session. He's not the only older Lion to return early, with Daniel Rich, Allen Christensen and dual best and fairest winner Dayne Zorko also prominent. Stefan Martin and Dayne Beams – both on the road back from injury – along with Mitch Robinson, Tom Bell and Ryan Bastinac have also been regulars in the past 10 days. Every listed player has now made an appearance. 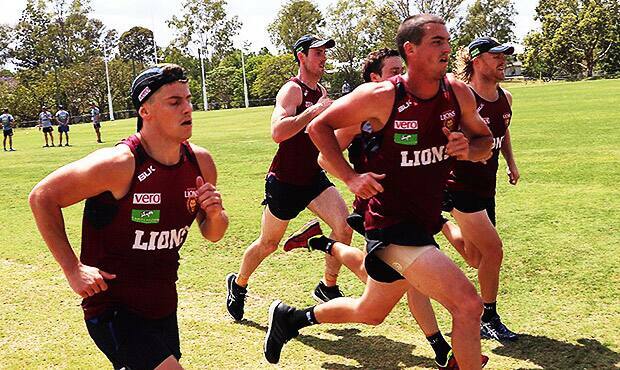 Fagan has shown he's happy to dig in and do the hard, physical work himself, joining in on some of the running and churning out some extra kilometres along the Brisbane River after the players had left.